Are you happy? Answer carefully. Your answer may mean a lot more than you can possibly imagine. 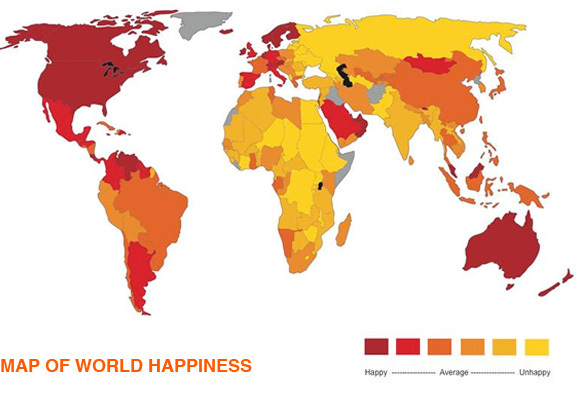 In a contemporary world, happiness is more than individuals' positive emotional states. Based on research, it is a factor that influences one's health, success, creativity, and relationships with others. It is also an emerging socio-economic indicator reflecting a country's performance such as GNH(Gross National Happiness) or HPI(Happiness Planet Index). In the field of psychology, it has become the hot topic for study. Additionally, happiness serves as a selling point for numerous products, and a motivational force for new technological inventions.What kinds of technological inventions and social interventions may arise to accompany this increased emphasis on happiness? What are the side effects of this seemingly harmless pursuit? LA Happiness Initiative explores these questions by conjuring up a hypothetical city campaign promoting happiness. By giving monetary incentives and respect to happy people, and by monitoring people's expressions in public spaces, this society provides more motivations and reasons for happiness. Within this society, happiness is not only something good to have but something required to thrive emotionally, socially, and economically. By depicting people who struggle to disguise themselves as happy and acquire happiness through various technological means, this project speculates that our overemphasis on happiness may alter our self-conceptions, behaviors, and relationships with others. Hae Jin Lee's thesis project at Art Center College of Design in 2011.